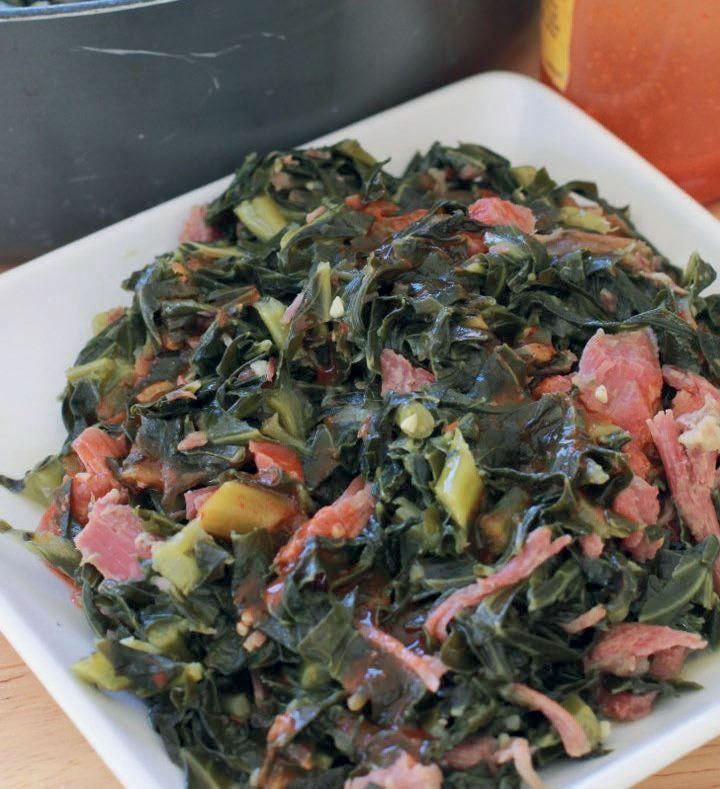 Collard Greens | Louisiana Grown | Real. Fresh. In a deep skillet or pot, heat olive oil on medium heat. Add onions and cook until tender. Stir in garlic and cook until fragrant. Add chicken broth, red pepper flakes and smoked turkey. Bring to a boil and reduce heat. Cover and boil lightly for about 20-30 minutes. Remove turkey leg and let cool. Remove meat from bone and cut into bite-size pieces. Return meat and skin back to the pot. Simmer for 10 minutes. Add collard greens to pot, pushing them down if needed. When greens begin to wilt, cover and simmer for up to 60 minutes or until your desired texture is reached, stirring occasionally. Add salt and pepper if desired.